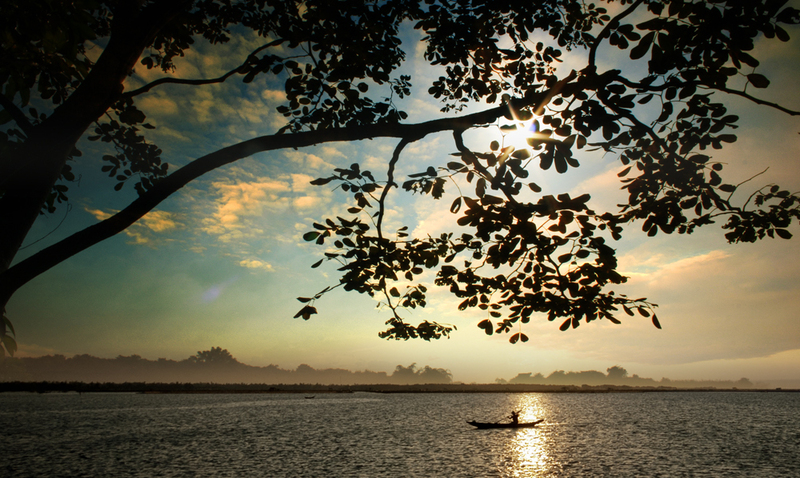 Vietnam is home to many gorgeous lakes that have remained untouched by swarms of tourists. The Vietnamese landscape is majestic and captivating, and spending some time in nature at the lakes is guaranteed to be a revitalising experience. Here are some of the most stunning lakes in Vietnam, which will have you packing your bags in no time. 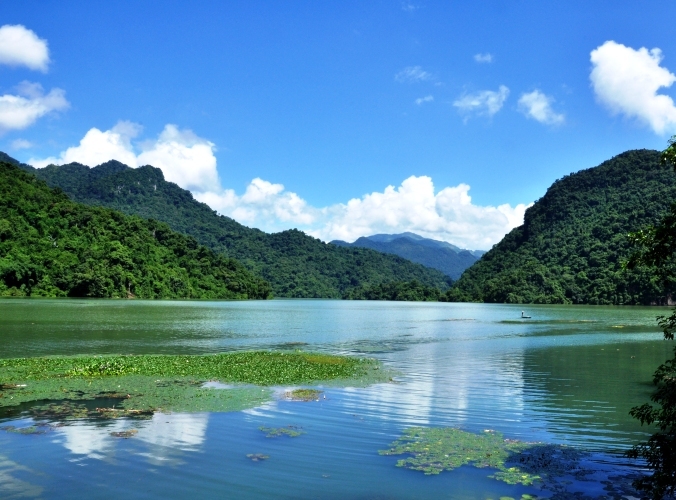 Ba Be Lake is Vietnam’s largest natural lake, and the crown jewel of Ba Be National Park, the country’s eighth national park. It is surrounded by dense evergreen forested valleys and limestone mountains, home to more than 550 plant species, 233 bird species, and 106 fish species, as well as turtles and butterflies. The lake is seven kilometres long and more than one kilometre at its widest. It’s an ideal place for boat trips on the water, through waterfalls and caves. Public buses run from Hanoi to Bac Kan (around $6 one way). The best times to visit are between August and September or in early spring. Many travelers opt for a trekking tour around the park, to experience the local culture in surrounding minority villages. Many people visit Ha Giang for its erect slopes, craggy mountain passes and beautiful terraced rice fields, but they miss out on the hidden enchanting beauty of Noong Lake. In the dry season (October to April) the lake becomes home to ducks and geese. 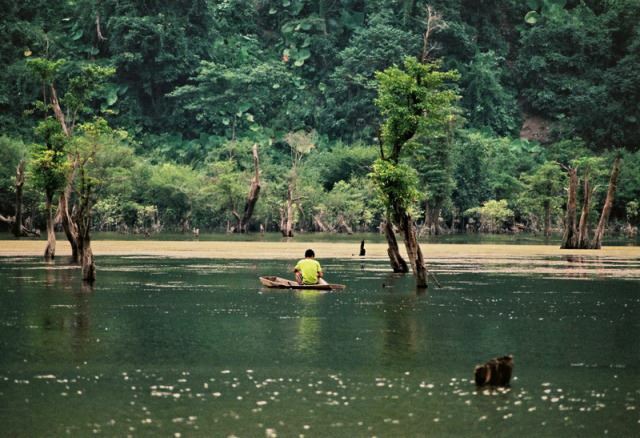 In the rainy season, on the other hand, you can paddle on the lake and watch the locals fishing. It’s a very peaceful place. This lake in Da Lat city is special because of the views across it. Ho Xuan Huong Lake is an artificially made crescent-shaped lake of approximately five kilometres across. Hanging out by the lake is a great chance to people watch. Don’t forget to check out the surrounding flower gardens and French architecture, especially at sunset. The juxtaposition of relaxation and modern city life unfolds around the lake. A three-hour drive from Ho Chi Minh City is Tri An Lake, one of the biggest hydroelectric dams in Vietnam. Sleep overnight on a floating boat and enjoy the moonlight in the breeze, absorbing the serenity of the landscape. Tri An Lake is home to a wide range of fish, and many nearby communities who rely on fishing dot the lake with their boats. This spot is little known to tourists, so is a perfect spot for a mindful retreat away from the bustling city. Located approximately 180 kilometres from Hanoi, Thac Ba Lake is one of the largest and most beautiful artificial lakes in Vietnam. Here you can experience the authentic ethnic cultures of the Dao, Tay, Thai, and Muong people, whose lives are very much defined by the waters of Thac Ba Lake. Here, there are more than 1300 islands and a large number of caves. Visiting is not so easy, as the lake is barely touched by mass tourism. For travelers interested in guided experiences and/or a relaxing stay, contact La Vie Vu Linh, a lakeside eco-lodge.